Young people with an interest in science and engineering can learn how to turn their passion into a career at a science fair in Brighton tomorrow (11 July). Big Bang @ Brighton will take place at the University of Brighton and organisers are promising “an exciting, colourful and noisy event” aimed at encouraging more students to pursue further studies and potential careers in science, technology, engineering and maths (STEM). 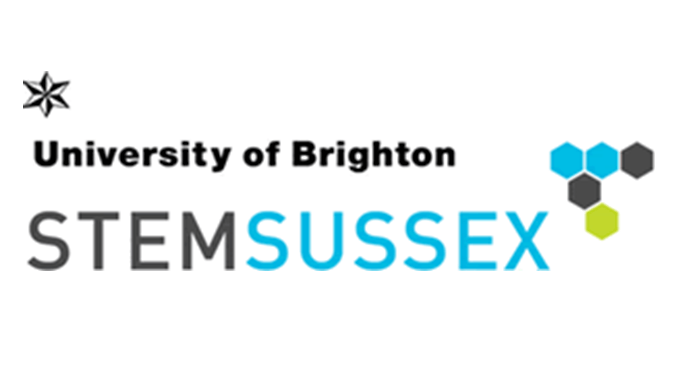 Organised by STEM Sussex, the University of Brighton’s STEM outreach department, the event is funded by the Sussex Learning Network’s National Collaborative Outreach Programme (NCOP), a four-year programme aimed at encouraging more young people, particularly those from disadvantaged backgrounds, into higher education. Big Bang @ Brighton will feature a range of hands-on activities, workshops and shows provided by many local companies, universities and colleges and other organisations, highlighting the STEM-related opportunities available to young people in the area. Local students will be exploring blood composition and the function of different blood cells in the body with the University of Brighton’s School of Pharmacy and Biomolecular Sciences. Students will also be given an insight into how art plays a role in an engineering or science careers with Artswork. There will be a behind-the-scene view of the Bluebell Railway; selfies with Community21, the neighbourhood planning and networking tool; building torches with the Institute of Engineering and Technology; engineering with Laing O’Rourke; investigating renewable energy with OVESCO; looking into security with Paxton; getting career ready with Plumpton College; viewing the darkest substance in the world with Sigta; journeying into space with UKSEDS; and protecting wildlife with WWT Arundel Wetland Centre. “Addressing the STEM skills gap is a priority for businesses in the Brighton area. Local businesses are committed to doing more to enthuse young people to study STEM subjects, and we believe the Big Bang @ Brighton will fire young people’s curiosity in a fun and light-hearted environment. Brighton and Hove PRU, Brompton Academy, Longhill High School, Patcham High, Peacehaven Community School, Farney Close School, BACA, Eastbourne Academy and Ormiston Academy will be attending the Big Bang @ Brighton at the university’s Huxley Building, Lewes Road, from 9.45-2.45pm. The event is one of a series across the region based around the Big Bang Fair South East at the South of England Showground. Part of the nationwide Big Bang Near Me programme, it is the biggest single celebration of science, technology, engineering and maths (STEM) for young people in the UK, and more than 10,000 students and their teachers from across the region were expected to attend. This entry was posted in Events, Life at Brighton, Uncategorized.